Nashville, TN – The Comptroller’s Offices of Research and Education Accountability (OREA) has updated its online map illustrating teen pregnancy rates in Tennessee. The map is color-coded to reflect which counties have a pregnancy rate exceeding 19.5 per 1,000 females, ages 15-17. The map is based on the most current (2015) data published by the Tennessee Department of Health. 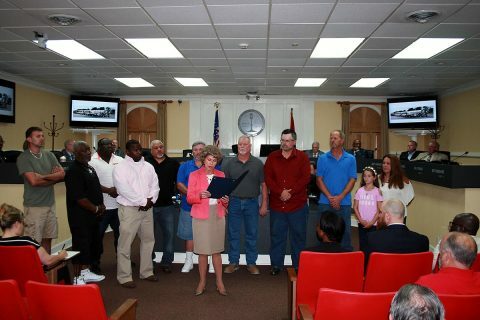 Clarksville, TN – Clarksville Mayor Kim McMillan issued a proclamation Thursday recognizing Screaming Eagle Ready Mix drivers and their family members for supporting and protecting mourners at a recent memorial service for Sgt. William Bays, a Fort Campbell soldier who was killed in Afghanistan. Clarksville Mayor Kim McMillan reads the proclamation honoring Screaming Eagle Ready Mix drivers for shielding mourners at a Fort Campbell memorial service from an out-of-town protest group. 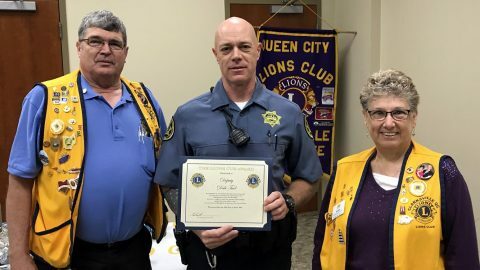 Clarksville, TN – Three deputies with the Montgomery County Sheriff’s Office were recognized by the Queen City Lions Club for their service to the community at their annual pancake breakfast. Deputy Dale Tuel received the Lions Cub Award. 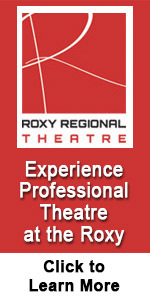 The award is presented to a deputy in their first year of service. Tuel received the recognition for his dedication and professionalism to the job. 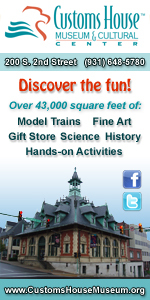 Tuel incorporates the knowledge and discipline he learned in the military into his career at the Sheriff’s Office. 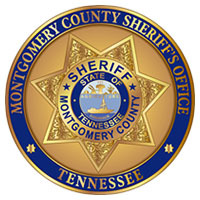 Montgomery County Sheriff’s Deputy Dale Tuel receives the Lions Cub Award. Fort Campbell, KY – Fort Campbell garrison, which serves more than 26,000 Soldiers as well as more than 45,000 Family members, civilian employees and contractors, held a change of command ceremony at Wilson Theater Friday. 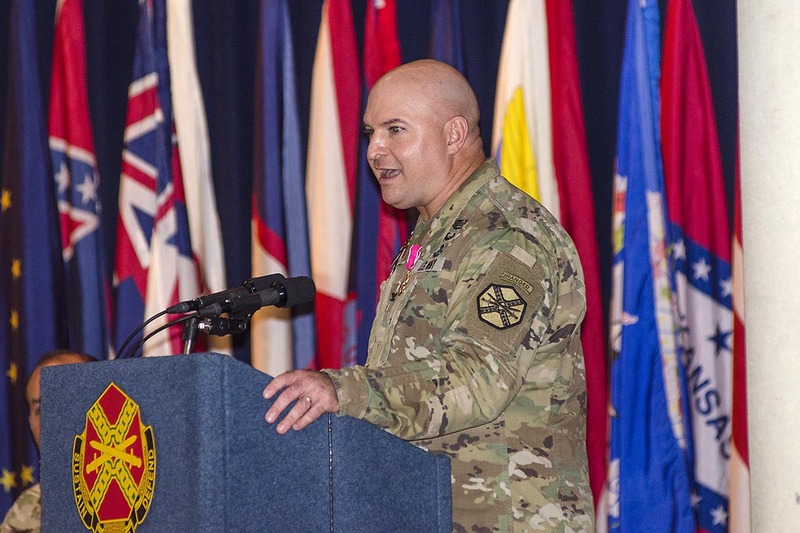 Colonel James “Rob” Salome, Fort Campbell’s garrison commander for the past two years, relinquished command to Col. Joseph Kuchan in a ceremony presided over by Brenda McCullough, director of Installation Management Command-Readiness. Salome will retire after more than 23 years of Army service later in the year, while Kuchan is a familiar face at Fort Campbell, having most recently served as operations officer for the 101st Airborne Division. 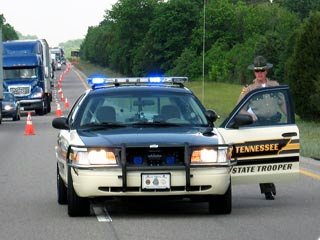 Nashville, TN – On Sunday, July 2nd, 2017, the Tennessee Highway Patrol Interdiction Plus Team conducted a traffic stop of a vehicle that was towing another vehicle on a trailer. 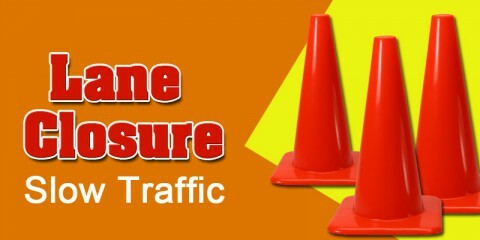 The stop occurred on Interstate 40 in Dickson County. The license plate on the vehicle was concealed with a license plate cover. During the traffic stop, the troopers observed signs of nervousness and stress from the driver, Jorge Gusman. 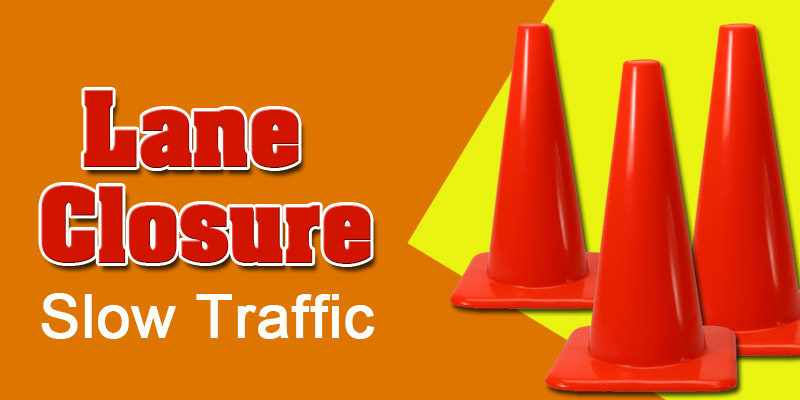 Clarksville, TN – Clarksville Gas and Water has closed one lane of Old Russellville Pike near the intersection of Fantasy Lane for natural gas service line maintenance. 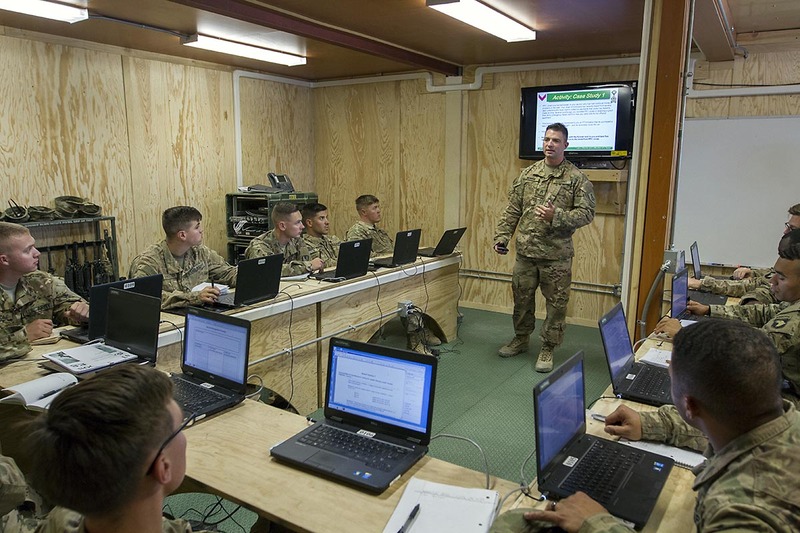 Bagram Airfield, Afghanistan – The Basic Leader Course is currently being held on Bagram Airfield, Afghanistan for the first time. The first accelerated two week course began on June 26th and will end on July 9th, 2017. 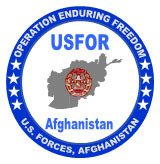 One hundred and eighty soldiers from across Afghanistan will no longer have to worry about attending the BLC as soon as their deployment is over thanks to the efforts of United States Forces Afghanistan and the Mobile Training Team from Fort Bliss, Texas. Clarksville, TN – The art in Eric Buechel: The Familiar leaves the viewer with a feeling of observing others and been observed. Buechel’ s large, cropped portraits stare eye to eye with gallery goers who are taking in scenes of people enjoying lazy summer afternoons on a boat, in a museum, and tending to bees. 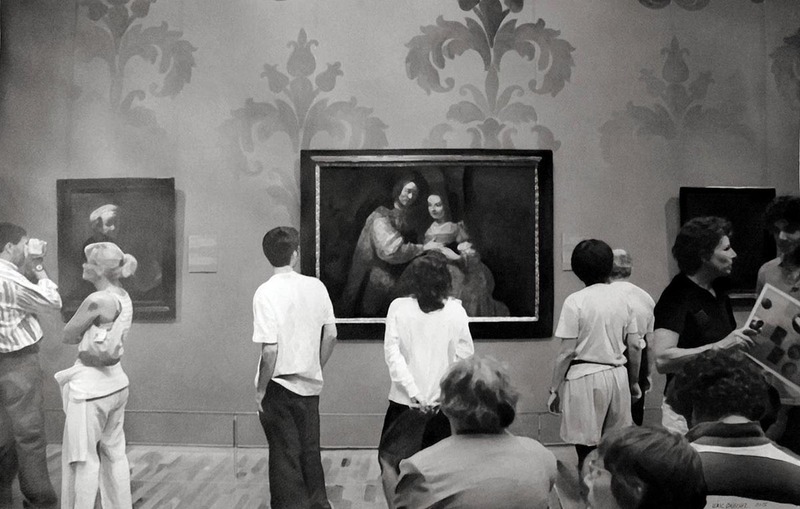 The works do not only just depict every-day situations; the artist also installs the people from his life into the scenes exhibited. Such is the case of Buechel’s The Viewing of the Jewish Bride.